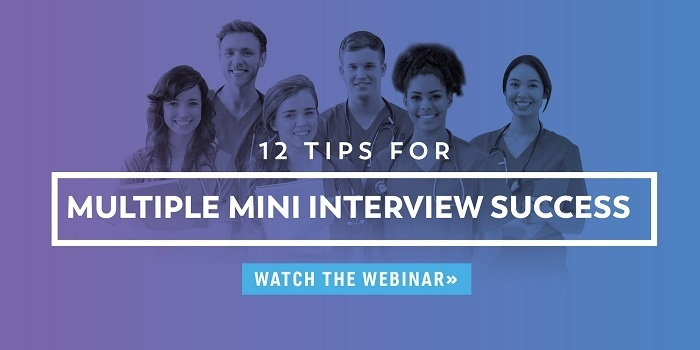 In 2004, Canada’s McMaster University published a study that examined how the Multiple Mini Interview (MMI) method can be used to more accurately assess candidates for medical school admission. The study found that the traditional interview format was not a reliable admissions tool because too often the interviewer was influencing the quality of the interview. Plus, it was expensive for students to fly to interviews, only to be interviewed by one or two people who may or may not provide them with a fair interview or review. By providing ten different stations, the McMaster MMI allowed students to interact with a wide range of evaluators. The scores and feedback provided by a larger number of people served as a more accurate way to review the performance of applicants. In the U.S., UCLA and UC Davis were the first medical schools to begin using this new interview format. More and more schools are adopting this method. Most schools will have one or two stations with questions about why you want to go into medicine or what you have done to prepare yourself for a career in medicine. You can always expect to encounter these types of questions in any kind of interview. At the ethical question stations, you will be given a topic and instructions. Often you will be given some time to prepare and a time limit to present your argument. Any taboo topic in medicine can be used for these stations. Expect questions on topics like organ donation, stem cell research, the legalization of marijuana, and others. The types of team activities offered vary widely from campus to campus. Some schools have you draw a picture from verbal instructions only, while other schools will have you work with another applicant to take turns building something with blocks and giving instructions. Or you will have to work as a team to create something together using blocks, nails, or even less obvious building materials such as spaghetti or marshmallows. The actors who participate in the stations will often present you with a fake situation in which you have to respond to their distress, anger, grief, or other strong emotions. The evaluator wants to see how many strategies you have in relating to others and resolving conflicts of any nature. These stations give you a chance to demonstrate how you think on your feet. While it is difficult to know how to prepare for this type of interview, understanding why it is used and its basic structure will help you begin to strategize. This format will ensure that you are given a fair evaluation. It’s designed to help admissions boards identify the strengths that you will bring to your medical training. Explore Accepted’s catalog of Medical School Interview Services for more information on how you can prep – and then ace! – your interview.